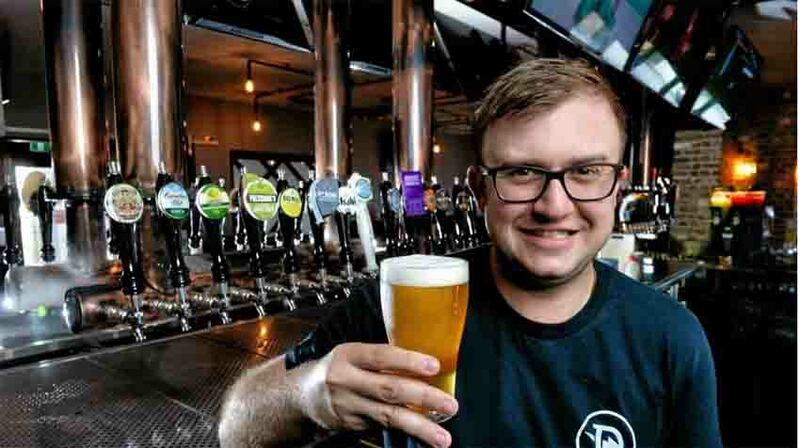 A Brisbane pub has broken the Guinness World Record for pouring the most beers on tap from a single supplier, ranging 131 on the weekend. Dainton Family Brewery partnered with whopping sports bar and craft beer den the Price Alfred Hotel for the record attempt, billed as the “mother of all beer events”. It took the brewery almost four months, creating 10 beers each week, to brew the range required for a crack at the world’s biggest ever tap takeover. Tickets were sold to the gala event, with a portion of proceeds going to support Soldier On, dedicated to helping soldiers and their families who are struggling post-service. Saturday 8 September saw all hands on deck as the pub’s regular line-up of 76 taps and two portable systems was expanded with 58 ‘miracle’ boxes, each with its own gas supply. The local Ipswich Brewers’ Union lent a hand setting up and breaking down, and the rep from Lancer made sure everything was pouring. Shy a couple of failed reticulation systems, with 135 brews onsite the count came in at 131 beers pouring all at one time from one brewer. This nudged out the previous record of 130 beers set in 2015 by Dark Horse Brewery at HopCat, in Detroit, Michigan. The Prince’s unofficial crown will hopefully be confirmed soon by the Guinness people. After a frantic week’s preparation, and beer systems taking up much of the pub including 75 per cent of the restaurant, Char’d, manager Peter Coultas says he was excited to be part of it – just this once. The idea stemmed from a conversation a year ago between Dan Dainton and the Prince Alfred’s beer cicerone, Tim Rule, who took it to owners Clive and Mary Johnson. Last year’s AHA Hotel of the Year recipient and fostering a reputation as the biggest craft beer sports bar in the southern hemisphere, plans were soon underway. Originally considering an outdoor marquis event, Coultas says he decided to keep it all inside, where they were able to set up all the additional systems with room to serve ticket-holding patrons, and not be concerned about outdoor conditions. Complementing the amateur brewers from the Ipswich Union manning taps, Dainton had five of the brewing team onsite to talk shop with happy paddle-sipping patrons. Creative expressions for the day included Skittle, passionfruit, cherry and mocha beers, but Coultas reports one of the most popular turned out to be Dainton’s Pizza Beer.